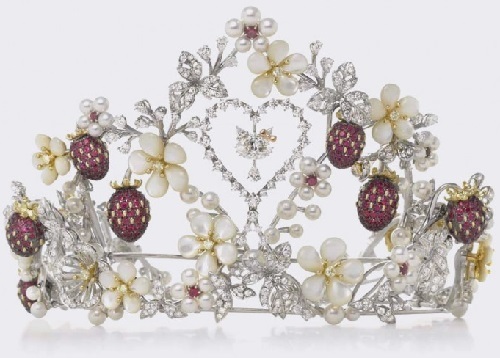 But while the Japanese and European jewelers with the most conservative gemologists snorted, saying that these were fake pearls, the results of special investigations have proved that the cultured pearls are no different from natural. 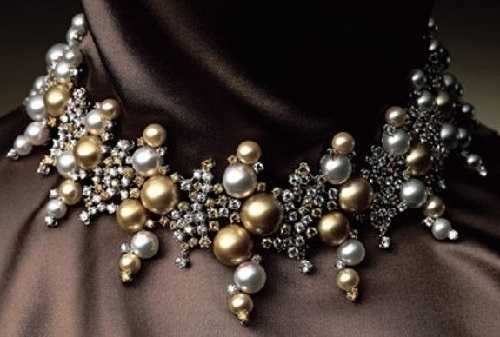 And now, two years after the invention, Mikimoto Kokichi, very impressed by the European level of development of the jewelry industry, opened a factory for the production of gold jewelry with pearls of his own production – mainly necklaces. This factory, which later formed a personal and unique jewelry of Mikimoto, who became a kind of pioneer in Japan: before that in Japan there were no large-scale enterprises specializing in the creation of jewelry from precious stones and precious metals. 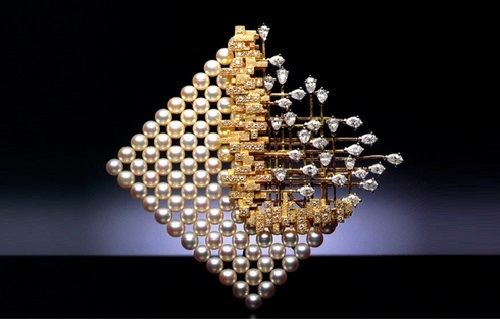 In 1910, the famous Mikimoto pearls were introduced worldwide at the Anglo-Japanese exhibition in London, and in 1913 opened the first overseas Mikimoto boutique. 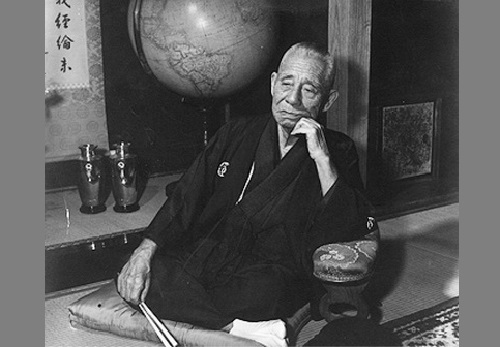 Because of genuine passion and sensitive dedication, Mikimoto Kokichi not just glorified his name, but also led Japan to a new level of development, “making” its reputation as an expert in jewelry. 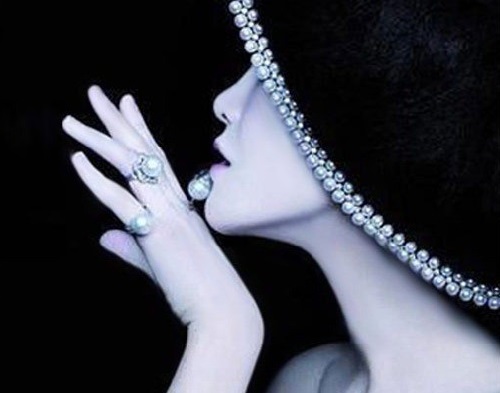 Even today, Mikimoto is almost the only luxury brand that came not from the US or Europe, but the Far East. Now Mikimoto shops can be found in all capitals of the world, moreover, many companies use a patented Mikimoto’s method of producing pearls. 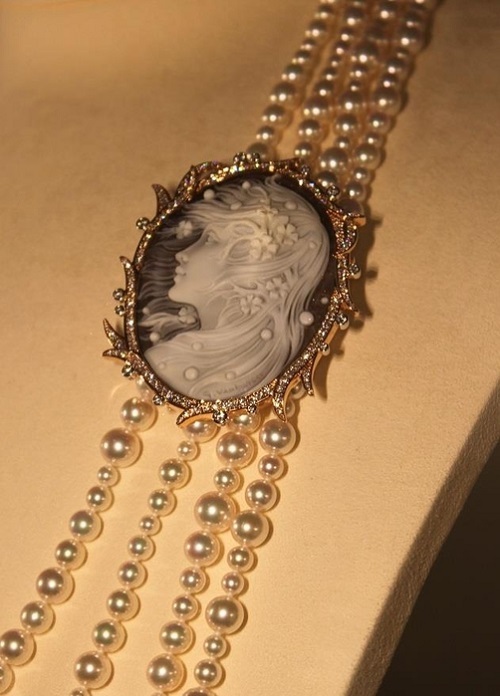 In the 30s of the last century the international market of jewelry was oversaturated with cultured pearls (to say nothing about today), the company Mikimoto even organized Special competitions of products with artificial pearls, but number one still remains elegant, alluring, mysterious, unusual jewelry of the brand whose founder invented the method of cultivation. 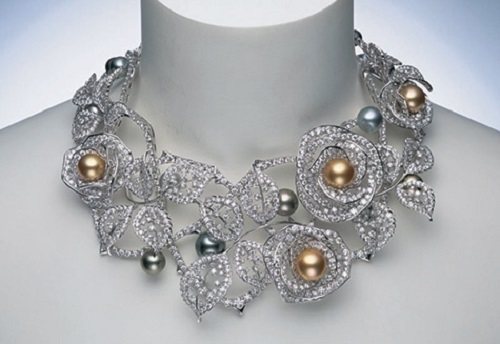 What makes Mikimoto jewelry so special? 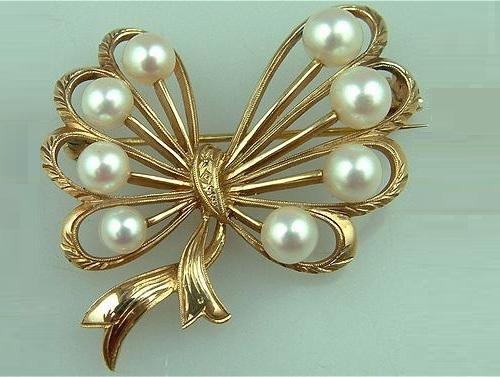 Whatever one may say, once invented method of producing pearls has become enough so that after 120 years, people enthusiastically buy his decorations. The main legacy, which the father of the company – Mikimoto Kokichi, who died in 1954, has left to his successors, is a frenetic perfectionism. 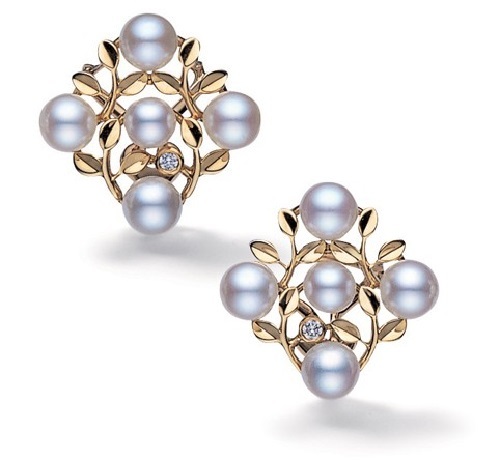 The Kokichi spirit and vision still live and are embodied in the full original charm of Mikimoto jewelry – products of cultured pearls are still even more popular than a hundred years ago. The endless pursuit of the ideal and the desire not only justify the trust of its fans, but exceed their wildest expectations – that’s how you can briefly describe the history of the jewellery brand. Mikimoto brand name identical to the highest quality at all stages of production of jewelry, starting with the selection of raw materials and ending with the presentation of the finished product to customers. Each stage takes place in accordance with the very strict standards and regulations of their own, patented in 1974, the classification system. 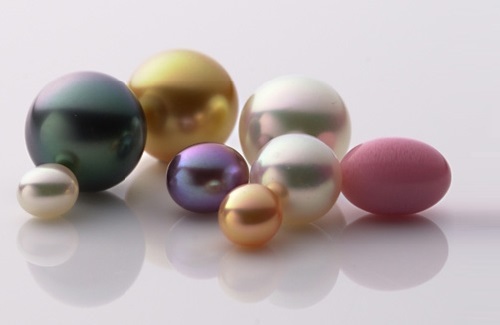 According to this rating system, each pearl is carefully studied and characterized by four criteria: color, shape, gloss and surface smoothness. 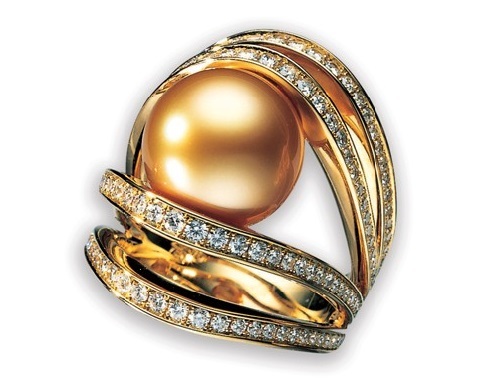 In the course of such a rigorous selection from the total amount of cultured pearls only three to five percent goes to the production of jewelry: pearls are selected not only on the above criteria, but also on the identity of each other – this is the main principle of Mikimoto jewelry art and business card of pearl jewelry brand. 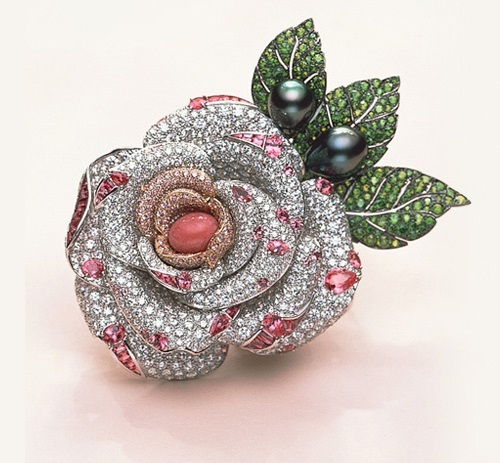 It is no coincidence that Mikimoto pearl, the cultivation of which often takes several years, is deservedly considered the most beautiful in the world, its dazzling light fascinates, and the variety of unusual colors (including white, gold, pink, green, blue, gray, off-white and even black) just impresses. 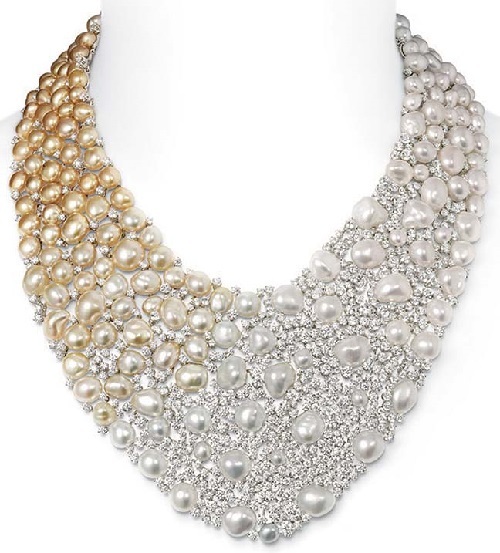 Pearls are cultured mainly on the island near the town of Toba, which wears a predictable name – Pearl Island (where, by the way, you can easily get on the tour and to see the process of pearl farming, as well as the famous “ama” – a pearl diver, getting pearl out from the depth of the shell). 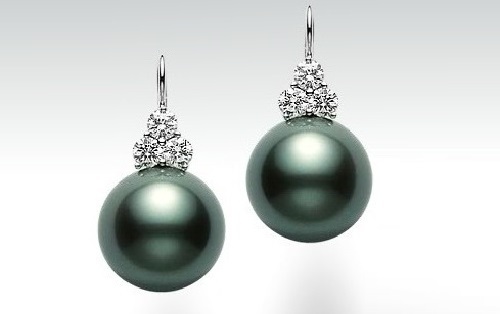 White pearls of larger sizes grown mainly near the coast of Australia, and rare black pearls produced by oysters, is used by jewelers in the most solemn Mikimoto jewelry. 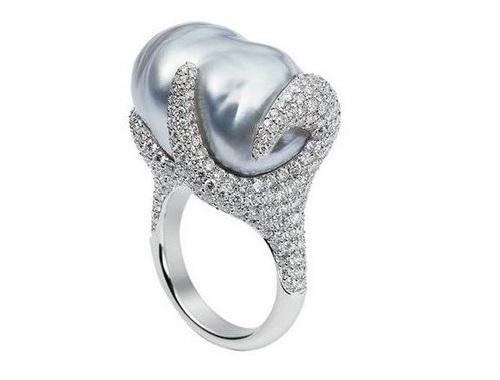 White pearl is grown in the South Seas, near the island of Tahiti and the Tuamotu Archipelago of Okinawa. Fabulous golden pearl enjoying high demand, is cultivated in the coastal waters of Indonesia and the Philippines. 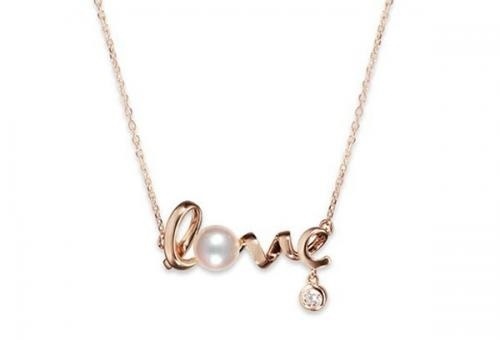 Appreciated also tender pink pearls, the cost of fabulous products with it has a high value. 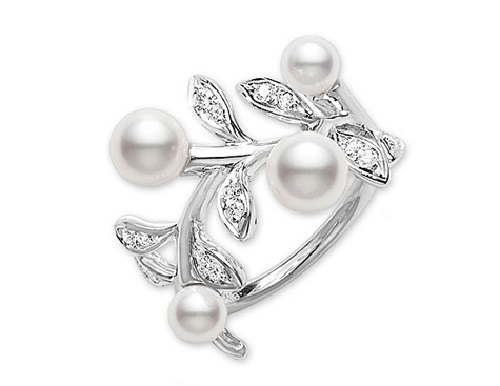 But, of course, “bestseller” remains the classic colors of white pearls. Surprisingly (and surprisingly expensive!) 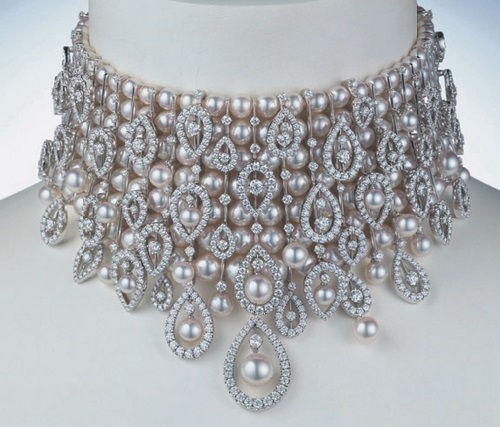 is a breathtaking combination of pearls and diamonds emphasizing its splendor – a patent for this technology, “implantation” of diamonds into pearls also belongs to Mikimoto. 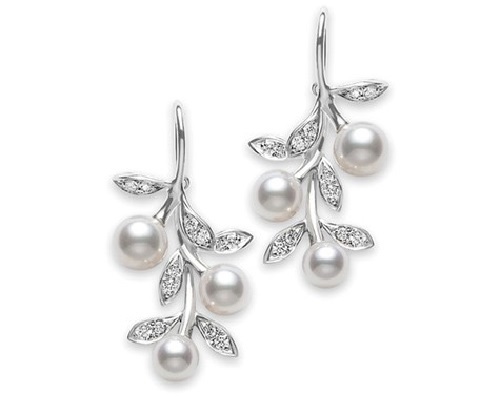 The flawless properties of Mikimoto jewelry due to jewelers collaborating with the company. 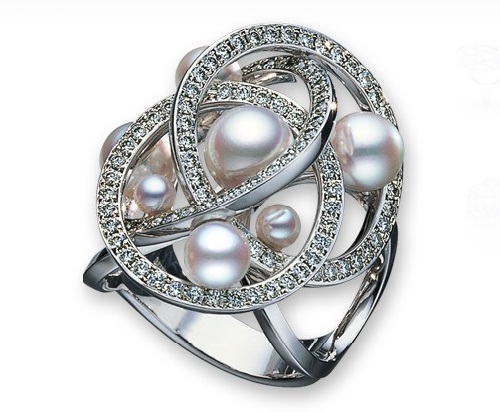 Mikimoto jewelry house is not only the largest producer of high quality cultured pearl, but also a recognized world leader in the field of jewellery design. Each Mikimoto jewelry collection – blend of man and nature, seafood and art, sun and moon, passion and peace, traditional elegance and latest fashion trends. This jewelry once won the heart of incomparable Marilyn Monroe, who in principle rarely wore the “real” jewelry, preferring costume jewelry. The thread of the largest white Mikimoto pearl 16 inches length was given to the legendary beauty by Joe DiMaggio during the honeymoon. No other manufacturer can boast such a rich history, perfectly oiled manufacturing process and guarantee uncompromising quality. 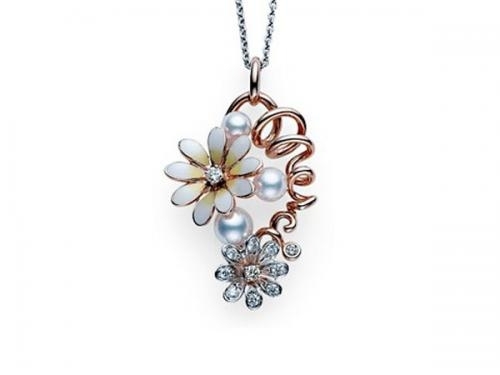 Mikimoto jewelry masterpieces for over a hundred years old are welcome “guests” in all collections, these products are excellent gifts and cherished family heirlooms. 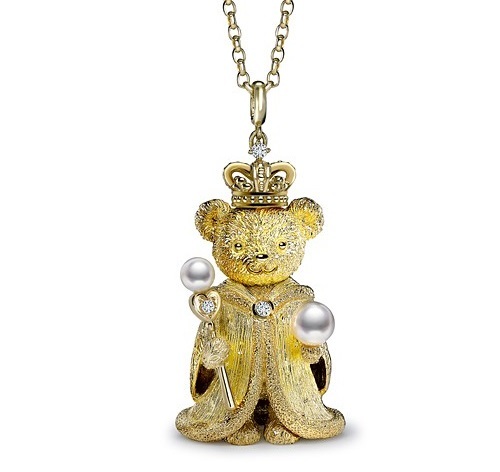 Every piece of jewelry made of pearls from the legendary brand – a timeless classic, the personification of the highest aesthetic pleasure and enthusiastic ode to the gifts of nature and human talent.